Camping at Turtle Beach is a fantastic way to spend this year’s family vacation. A little more rugged than a hotel, this campground is perfect for a first-time family camping trip, whether you’re looking for week-long accommodations or a night under the stars away from your Siesta Key vacation rental. If it’s outdoor Siesta Key activities you’re looking for, Turtle Beach Campground is the place to put up your tent, or even just to visit during your stay at Peppertree Bay. The campground has 39 RV and tent sites, with full hookups for recreational vehicles, including electrical service, water, and free Wi-Fi. All sites have access to restrooms and hot showers, coin-operated washers and dryers, pavilions with grills, and a playground. Turtle Beach Campground is right on the beach – in fact, it is one of the few in the state with direct access to the Gulf of Mexico, making it a great place to enjoy the sun, sand, and some of the many outdoor Siesta Key activities. Kayaking is one of the most popular Siesta Key activities. Known to work a ton of muscles – back, shoulders, biceps, to name a few – some say just an hour of kayaking gives you a better workout than a session at the gym. Turtle Beach is a great place to go kayaking and paddle boarding, as you have access to both the gulf waters and the inlet behind the campground. Scan the shores for birds and the waters for marine life as you paddle through a tunnel of branches or cruise the aquamarine ocean waters along the beach. Turtle Beach itself has a kayak launch, so you won’t have to go far to get in the water. Siesta Paddle Sports, about a three-minute walk from the campground, offers both kayaks and paddle boards and provides instruction. Book ahead of time by calling (941) 404-4624, and be in the water an hour later with these guys, who have a reputation for friendly staff and convenient online booking. Whether you’re training for Siesta Key’s Annual Sandy Claws Beach Run (this year on December 9) or just looking to get a little exercise on your vacation, running on the beach is a great way to start your mornings at Turtle Beach Campground. 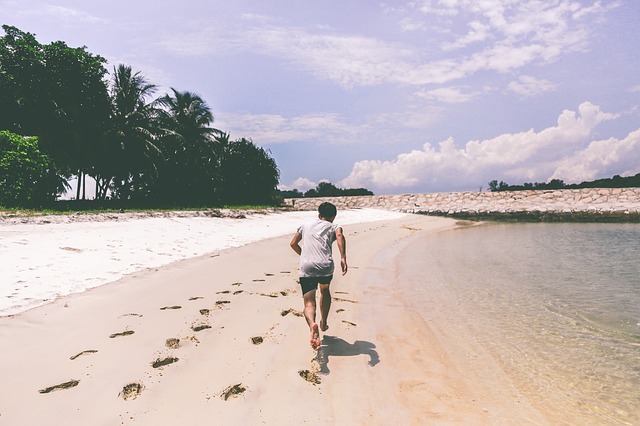 Running on the sand increases your calorie burn, builds muscle strength, and improves your running technique. Perhaps most importantly, it is a demanding form of exercise that gives you a better workout in a shorter period of time – perfect for those who don’t want to spend their family vacation on a treadmill. Keep the whole family active by training for the Kids’ Beach Runs, a mile-long there-and-back run every Tuesday at 6:30 p.m. on nearby Siesta Beach. For the non-runners, walking the beach is another outdoor activity to stay in shape and enjoy the beach. Shelling at this beach is spectacular – but be careful not to take any that are still occupied! True to its name, Turtle Beach is home to many turtles during nesting season (May to October). Look for loggerhead and green turtle nests while you walk along the shores. If you’re at Turtle Beach Campground, take advantage of the opportunity to visit Turtle Beach! And while you’re there, be sure to take a dip in the ocean. Swimming burns, on average, 400 to 700 calories per hour. It’s a GREAT option to help you stay fit while on vacation. Add another layer of excitement by taking along some snorkeling gear with you. Look for fish and other water wildlife while you surf and bob the waves. 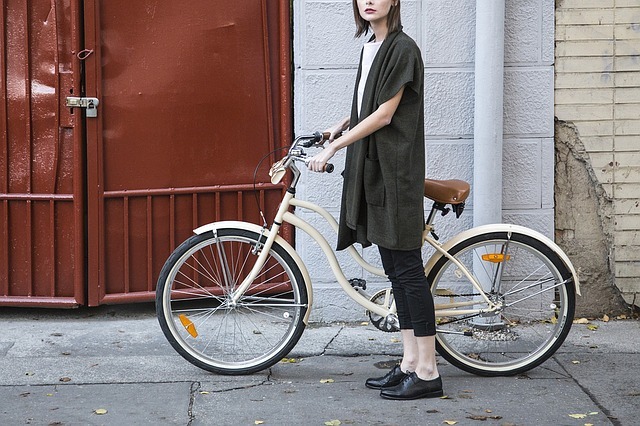 If you’re not up for swimming, there’s a fourth option… ride a bicycle! Cycling is one of the best ways to see the sights of Siesta Key – you both get some outdoor exercise and avoid sitting in a hot car in high-season traffic. While there is a free trolley that runs the length of the island throughout the day, ride your bike to Siesta Key Village to grab a bite to eat instead. The trip is about four miles long and the path is easily accessible from the campground. If you didn’t drive south with bikes on the back of your RV, don’t worry. Siesta Key has a number of shops where you can rent. Try Siesta Sports Rental or Siesta Key Bike & Kayak – both about two miles down the road – for rentals. During your visit to Florida and your stay at Peppertree Bay, be sure to visit the Turtle Beach Campground and vow to stay active while on vacation!